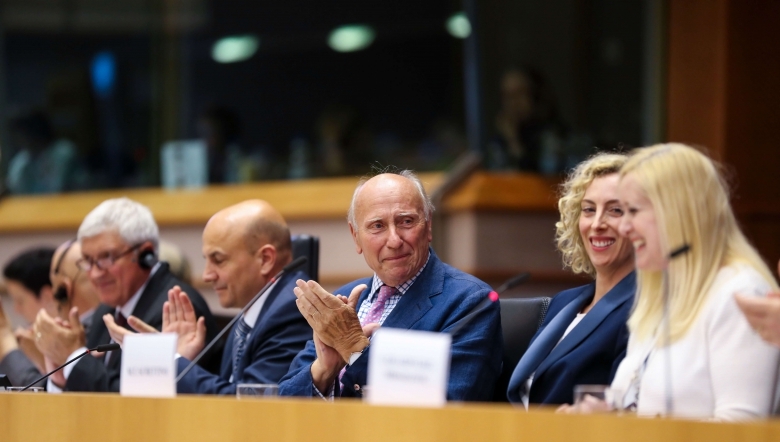 Just a few days after the first ever European Cultural Heritage Summit on 18-24 June 2018, which was co-hosted by Europa Nostra, the Prussian Cultural Heritage Foundation and the German Cultural Heritage Committee, Europa Nostra contributed to the high-level conference on “Cultural Heritage in Europe: linking past and future” held in the hemicycle of the European Parliament in Brussels on 26 June (see recording). High-level conference on cultural heritage in the European Parliament’s plenary chamber. In his words of welcome, President Antonio Tajani stressed that the European Year of Cultural Heritage is an invitation to rediscover our shared identity: “We should not be afraid of opening up to other cultures. The stronger we are in our own identity, the stronger we are in understanding our own history, the better we can interact with others.” Likewise, the President of the European Commission, Jean-Claude Juncker, saw in the European Year “an opportunity to better know our Union in all its diversity”. 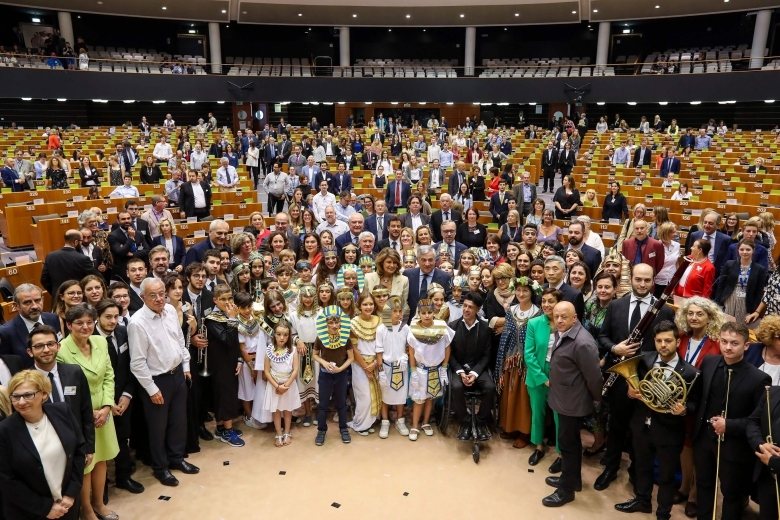 Making the link between shared heritage and shared values, Juncker stated: “We need on a daily basis to reiterate these European values that emerge from our cultural heritage: humanity, dignity for human beings and solidarity among ourselves”. Taking place so shortly after the Berlin Summit, this conference provided an ideal platform to present the outcomes of the European Cultural Heritage Summit and, even more so, the “Berlin Call to Action: Cultural Heritage for the Future of Europe” to Members of the European Parliament (MEPs), key decision-makers and stakeholders. The Summit co-hosts were represented by Europa Nostra’s recently elected Executive President Hermann Parzinger, who spoke also in his capacity as President of the Prussian Cultural Heritage Foundation. He was warmly introduced by Silvia Costa MEP, member of the parliament’s culture committee, who was also one of the prominent speakers at the Berlin Summit. By way of opening the first panel on “cultural heritage and Europeanness”, Silvia Costa invited the audience to join her to become signatories of the Berlin Call, “a call to ensure that this year does not end in December”. Taking the floor after the chair’s introduction, Hermann Parzinger presented the Berlin Call by stressing the enormous potential of cultural heritage to be a cohesive factor in European integration and for creating a European identity and then invited all participants to sign the Berlin Call. Rodolphe de Looz-Corswarem at the High-level conference on cultural heritage in the European Parliament. Several members of the European Heritage Alliance 3.3 contributed to the second panel on “Preserving and Promoting Cultural Heritage” which was chaired by MEP Mircea Diaconu: ICOM’s Director of Programmes and Development, France Desmarais, called for stronger cooperation in the protection of cultural heritage by focusing on sustainable, effective solutions. The President of the European Historic Houses Association, Rodolphe de Looz-Corswarem, who is also member of the Board of Europa Nostra, highlighted the role of the owners of privately-owned heritage as entrepreneurs and guardians of heritage and of the importance of habitats in the countryside, outside the major urban centres. 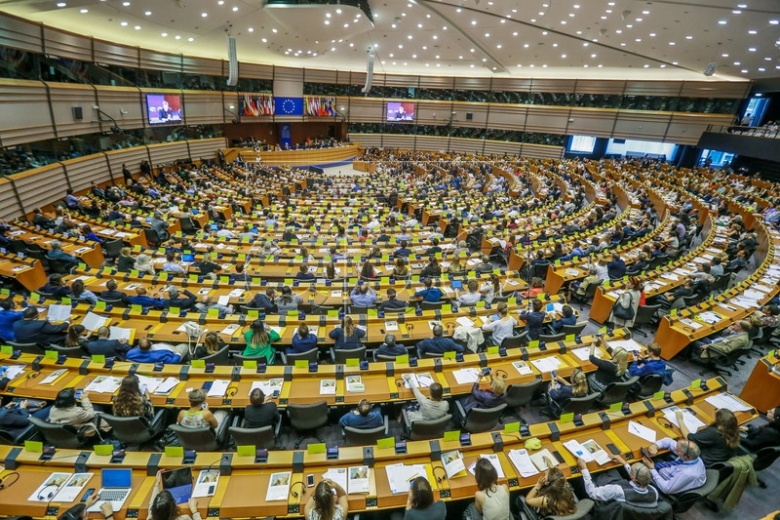 Rodolphe de Looz-Corswarem – European Parliament High-Level Conference on Cultural Heritage, 26 June 2018 from Europa Nostra on Vimeo. 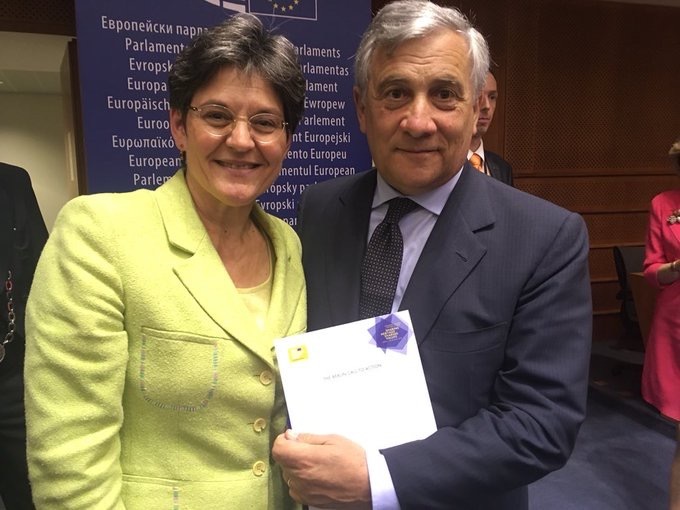 The Secretary General of Europa Nostra took the opportunity to hand over a copy of the Berlin Call to Action to Antonio Tajani, the President of the European Parliament, in order to bring the outcome of the Berlin Summit to his personal attention. Europa Nostra presents the Berlin Call to European Parliament President Tajani. By way of highlighting that contemporary creation is the heritage of tomorrow, an impressive line-up of renowned artists shared their insights and experience with the audience during the sessions. The tone was set by the European Union Youth Orchestra (EUYO) who played Beethoven’s Ode to Joy. On this occasion, Marcus Marshall, CEO of the EUYO, also signed the Berlin Call, together with several other participants and speakers. Among the special guests from the artistic world was also the pianist and conductor Daniel Barenboim who had also conducted Verdi’s Macbeth at the Berlin Staatsoper just a few days before and which starred Europa Nostra’s President, Maestro Plácido Domingo in the title role. Group Photo at the High-level conference on cultural heritage in the European Parliament.